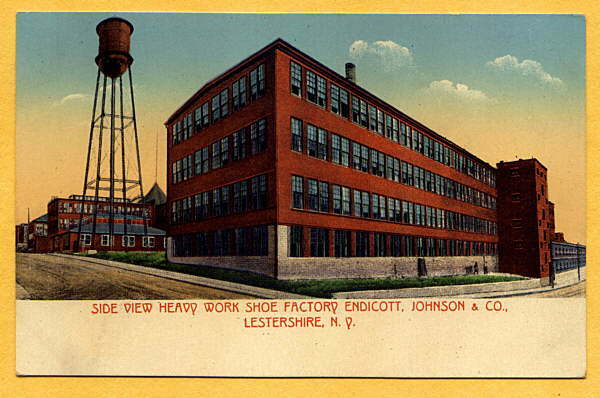 Suede tongue for better fit. 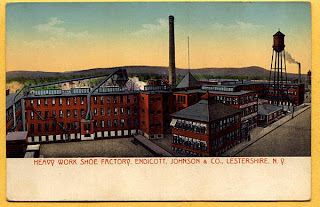 I recently discovered the history of this real American hero and the company he helped to build while researching this awesome pair of vintage Endicott Johnson work boots. It is sad to see the parallels of what became of this great company due to free trade and the continued outsourcing of American manufacturing & jobs. 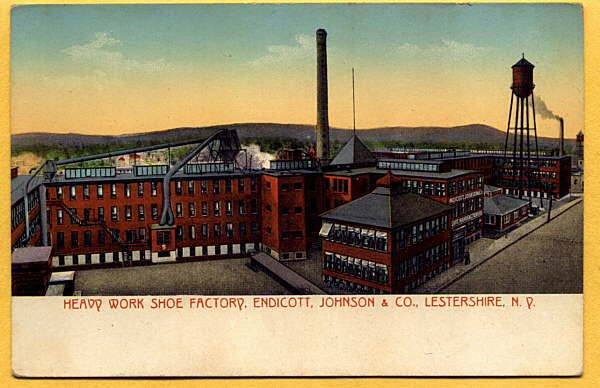 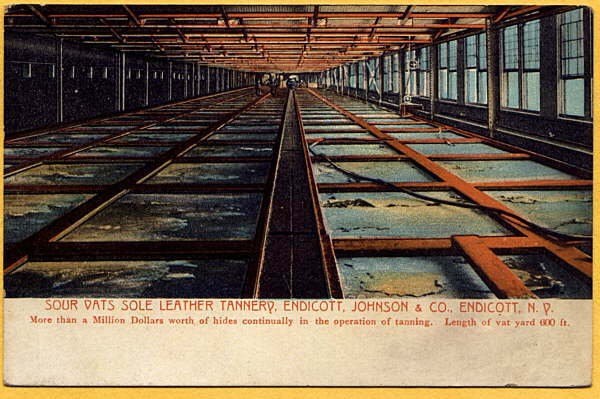 The Endicott-Johnson Shoe Company, headquartered in the Southern Tier of Upstate New York, was for decades the largest shoe manufacturer in America. 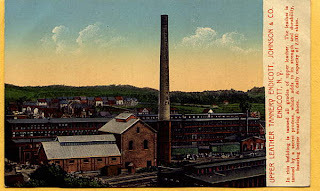 Almost single-handedly, in fact, this former industrial giant equipped the U.S. armed forces in both World War I and World War 2. Its workers were well paid and well cared for even in the Great Depression. 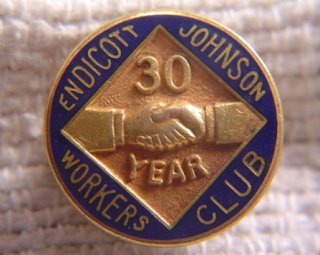 In fact, the thousands of workers employed by "E-J" were so well-treated--and the company’s owner and patriarch, George F. Johnson, was so well-loved by all--that company employees repeatedly rebuffed outside attempts to unionize them, even in the tough 1930's. 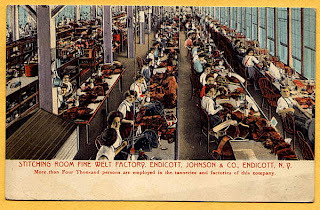 Old school workers recreation, just add smokes. 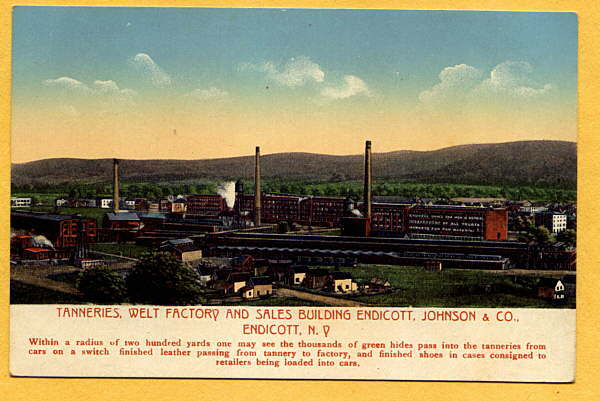 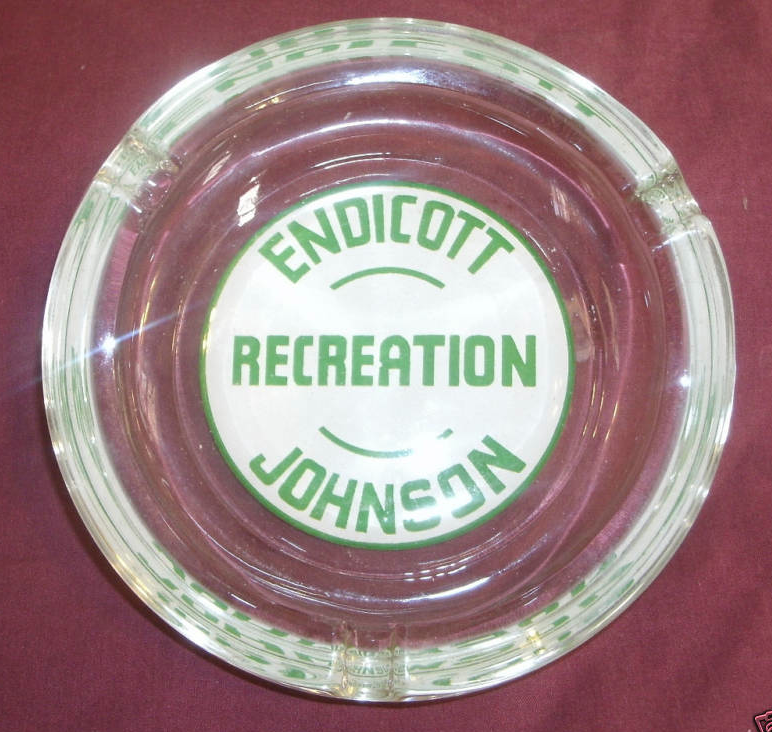 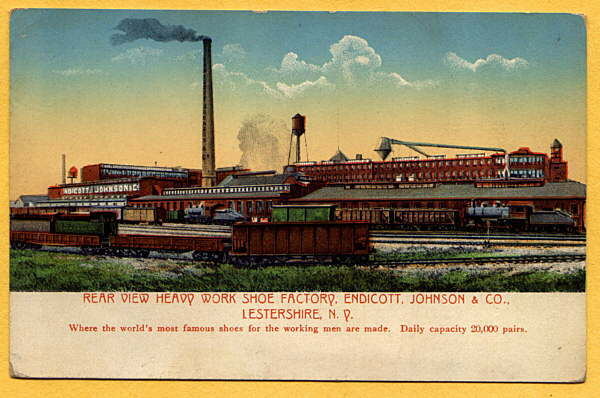 For over half a century, until George F. Johnson’s dream and his company were tragically destroyed by the crime of "free trade" and internationalism, the Endicott-Johnson Corporation (E-J) served as the model in how a major company should treat its workers: as equals of its owners, yet prosperous at the same time. 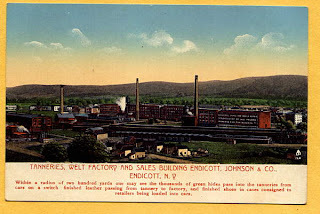 Today, empty E-J factories are scattered across a rolling area stretching roughly from Binghamton and Johnson City on the east, to Owego in the west. 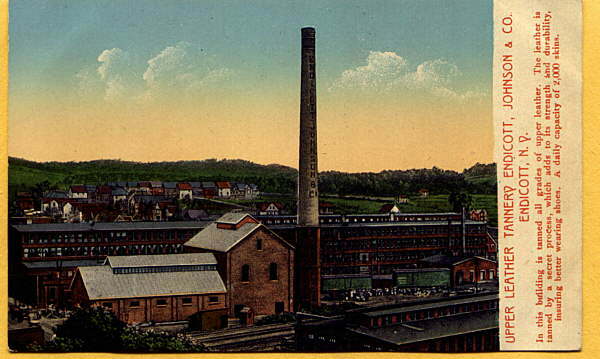 The facilities that once employed an entire sprawling community are mere ghosts. 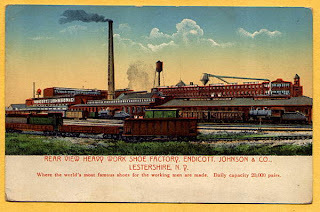 But for a time in this part of America, one man created an economic juggernaut that provided an opportunity for three generations to live the American Dream. 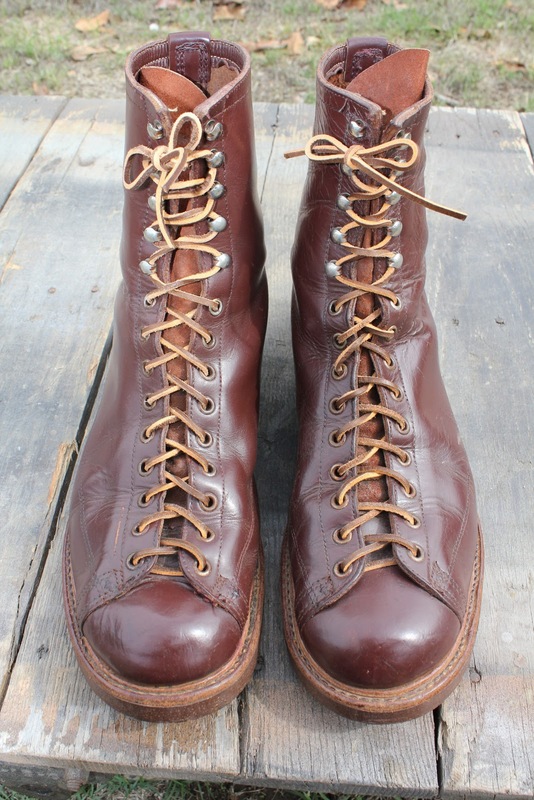 Thanks to Chris Temple for REAL AMERICAN HEROS: The Story of George F. Johnson, and to Rivet Head for his great taste & knowing a nice pair of boots when he sees them. 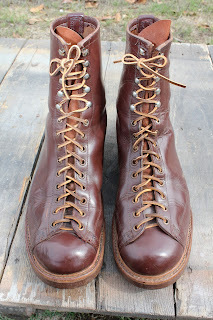 I have a pair of 1953 (Korean War maybe) Endicott for the US military Paratrooper boots, pretty much the same shade of brown as above, although there's more like 6 or 8 pairs of eyelets. 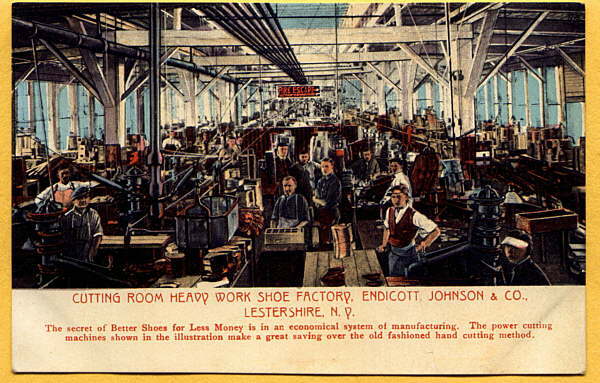 Same heel as well. 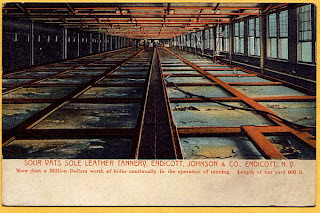 If anyone is interested, I have a lot of roughly 300 antique shoe lath forms purchased from a grandson of an EJ employee, for sale.